There is a secret cloak of the sacred which ensheathes the beachfront town of Tulum, and we have chosen this potent portal on the full moon of spring break 2018 to hold our annual 5 Elements Yin Yoga Teacher Training, where you will integrate the foundations of Yin Yoga Philosophy, Anatomy & Alignment, Chinese Meridian Theory, and the 5 Elements to learn to safely and effectively teaching Yin Yoga. Emphasizing Buddhist practices of equanimity and loving kindness, you will learn to use your authentic voice as an emerging Yin Yoga teacher and guide unique sequencing in the sacred art of restoration. Yin Yoga is a practice that seeks to mindfully lengthen and lubricate the connective tissues and approach Equanimity in the subtle and emotional body. Practicing the methods of stillness, mindfulness, and loving kindness, Yin Yoga empowers practitioners to coax Prana into particular healing and rejuvenative pathways. Teaching Yin Yoga is a divine practice for deep healing, and the mounting need to offer such practices grows more vividly each day. Spend a divine week on the beach learning to teach Yin Yoga, alongside daily Yang (Vinyasa & Iyengar) and Pranayama practices, meditation, learning the Art of Adjustments, the Sensual Science of Sequencing, and more. The Amansala Escape. Amansala Eco-Chic Resort & Retreat rests on the beautiful white sand beaches and sparkling turquoise waters of Tulum’s Mayan Ruins and Cenotes. 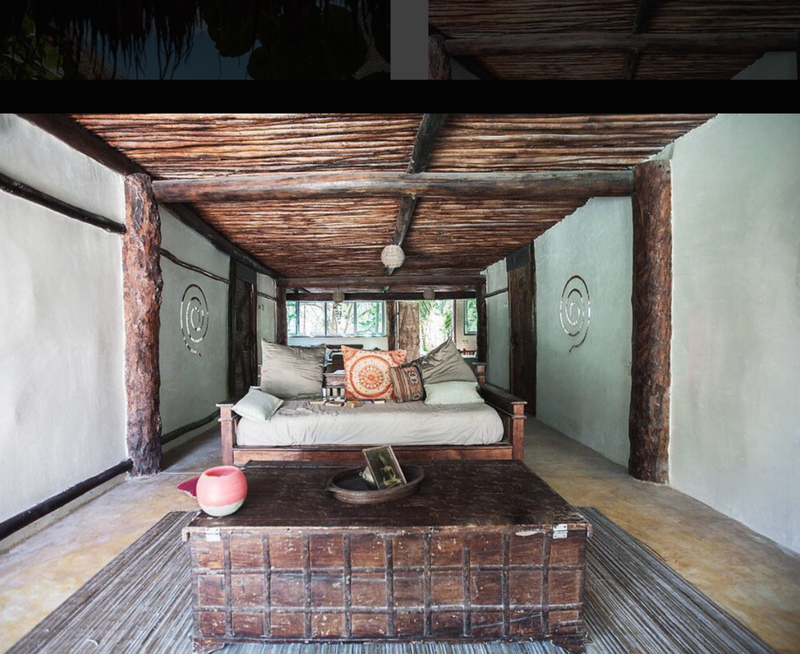 The world-renowned eco chic boutique retreat center has been featured in Yoga Journal, New York Times, Bazaar, and rated top three Great Yoga Retreats Around the World. Reside in a beachfront Riviera Maya cabana with garden and sea views, practice with us in three private open air yoga shalas, and delve into a delightful detox menu with fresh organic Mexican fare. This Yin Intensive training is a potent addition to integrate components of Yin and Restorative Yoga into your own daily practice and into the yoga studios. We encourage seasoned yoga facilitators as well as emerging and brand new students who wish to deepen their own practice or begin teaching and sharing the essential practice of Yin Yoga with others. 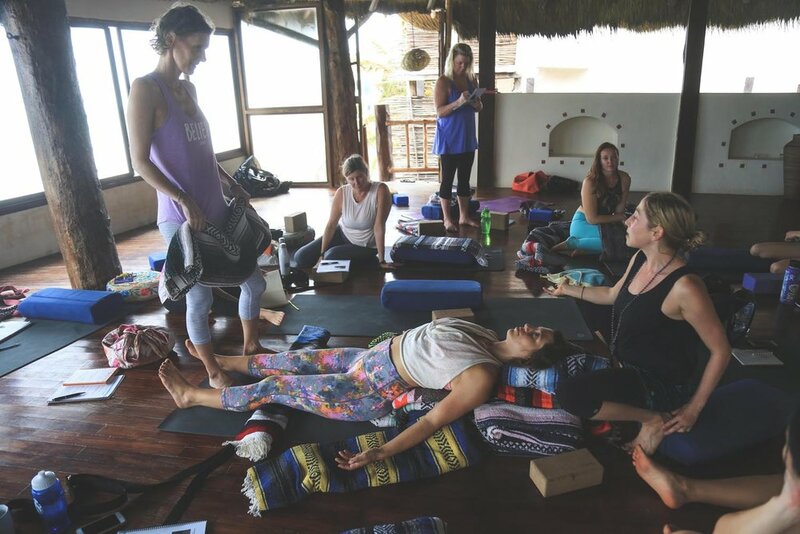 Come to Tulum to learn to teach Yin Yoga! Questions? Email us at DurgaExcursions@gmail.com or contact here.